In a rare event of its kind, Justice Anand Byrareddy of the Karnataka High Court has refused to follow dictum laid down in an apex court judgment, widely opined as per incuriam, wherein his own judgment was upheld by the Supreme Court. Justice Byrareddy, in his judgment dated 21st May, 2013, in M.K. Aiyappa vs State, held that a special judge / magistrate cannot refer a complaint for investigation under S.156(3) of the Code of Criminal Procedure against a public servant without a valid sanction order from the government. His judgment was upheld by a Supreme Court Bench of Justice K.S. Radhakrishnan and Justice A.K. Sikri in Anil Kumar vs M.K. Aiyappa, dated 1st October, 2013. There has been a popular opinion in legal parlance that the said judgment by the two-judge Bench is per incuriam. The Kerala High Court in Maneesh E. vs. State of Kerala has apparently observed that the said judgment by the apex court is per incuriam. In a judgment dated 6th September, 2016, in L.Narayana Swamy vs State of Karnataka, a two-judge Bench comprising Justice A.K. 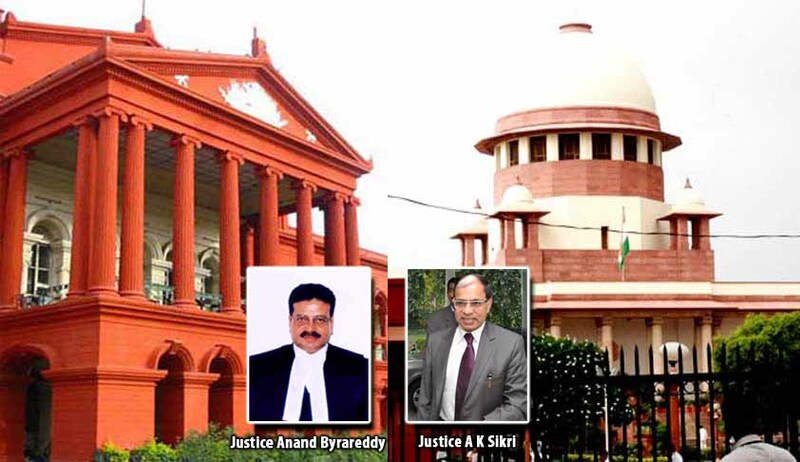 Sikri and Justice N.V. Ramana has re-iterated the view in Anil Kumar case and held that a magistrate cannot order further investigation against a public servant without previous sanction of Government.